It is a program that has returned millions of dollars to thousands of low income families in Metro Louisville and this Thursday, January 31th the Volunteer Income Tax Assistance program will return to the Sun Valley Community Center. The purpose of the V.I.T.A. 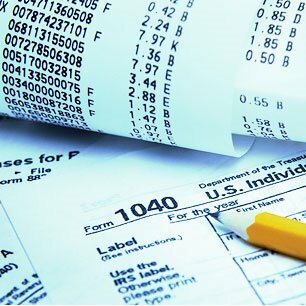 program is to offer free tax preparation to persons making $50,000 or less. Over the years, volunteers have been able to find deductions to help families receive better tax returns when filing their federal income taxes, returning much needed money back into the area. The V.I.T.A. operation at the Sun Valley Community Center will begin on Thursday. The Community Center will offer the assistance Tuesdays, Wednesdays, Thursdays and Saturday until April 13th, 2013. Participants need to make sure they bring all pertinent tax information as well as a Social Security card and photo ID. The Louisville Asset Building Coalition has offered VITA at the Sun Valley Community Center since 2008. Every year the number of volunteers and those taking advantage of the service continues to grow. “Many families are still struggling as the economy continues to slowly improve. Everyone can use some extra help from time to time and in this case it’s free,” says Fowler. For more information about the V.I.T.A. programs, contact Councilwoman Fowler’s office at 574-1114 or call 292-6230.